It’s SIMPLE, mix everything but the champagne and chill. Then when it’s serving time, just add the champagne and a few fresh cranberries for a festive touch. 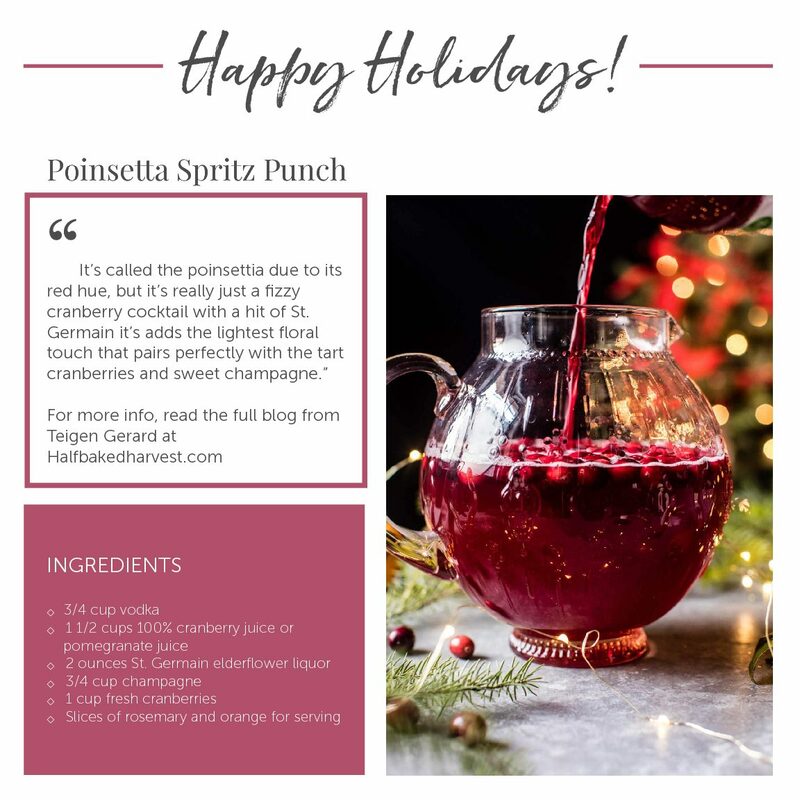 Try it out for your next holiday party, or stop by the store and taste it here while you shop!